It was Miami Vice star Philip Michael Thomas who coined the word for the exclusive club of winners of Emmy, Grammy, Oscar and Tony awards in 1984. But it was 30 Rock that made "EGOT" catch on -- thanks to Tracy Jordan's large gold "EGOT" necklace in the December 2009 episode "Dealbreakers Talk Show #0001." 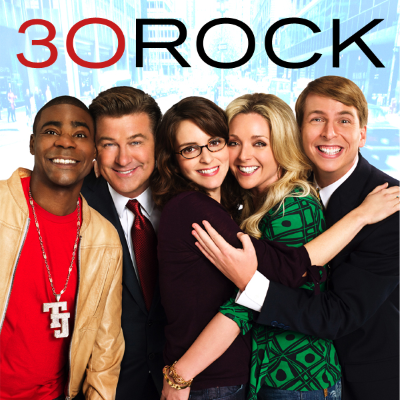 "In the first three seasons, we didn’t really do as many arcs for characters," says 30 Rock writer/producer Kay Cannon. "It was just always so funny and not necessarily episodic, but we weren’t really telling anything serialized. And then you get to Season 4, and this EGOTs arc was really important for Tracy. It was the first time we were ever doing something like that with him, where we were giving him a real want and a real goal, and we were doing it in whatever ridiculous way that Tracy would do that." Tracy Morgan adds: "I didn’t even know what an EGOT was before the episode. I remember reading it at the table read. I found it very, very funny."